Ready for an adventure?! 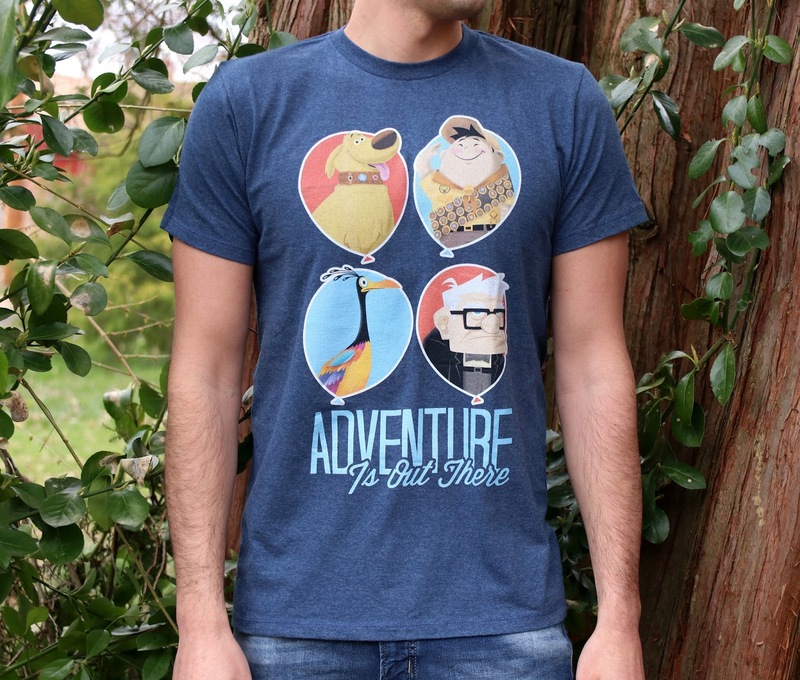 Check out this oh so awesome Disney·Pixar Up inspired "Adventure is Out There" men's tee from Fifth Sun! I got this tee a year ago for last year's Disney trip (it was the perfect shirt to wear at Animal Kingdom), but somehow I'm just posting on it now. Whoops! Luckily it's still in stock on the Fifth Sun website. The minimal cartoon graphics of everyone's favorite adventurers, Dug, Russel, Kevin and Carl, look super cute inside the four balloon shapes. Such a clever design! And of course the classic quote "Adventure is Out There" is right there front and center as well. This tee is soft (cotton/poly blend), fits well (true to size) and is a nice heather navy blue color. It's a winner all around for me! 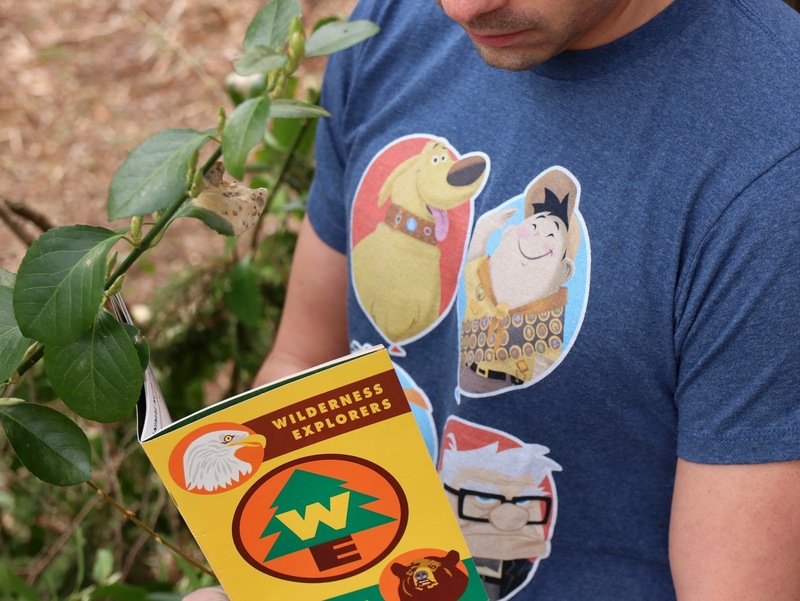 Adult Wilderness Explorers and/or fans of Up will definitely want to snag this one. If you're interested in adding this to your Disney shirt collection, go ahead and order it right from Fifth Sun's site HERE for $19.95! 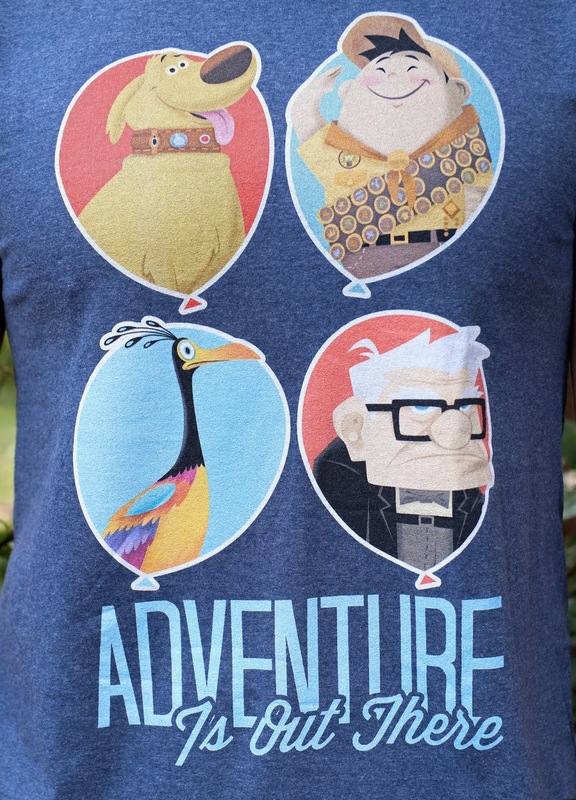 And while you're there, check out the rest of their selection of fantastic and unique Disney/Pixar tees. So many good ones.